Although we have less than a week before Christmas Day, there are still delivery options available. Better still – some of them will even come to you. Using a courier service is one of the fastest and cheapest ways of having your parcels delivered. Here are a few things you should keep in mind when buying and sending festive gifts in order to keep the process as cheap and stress-free as possible. You may feel like you’re running out of time before Santa makes an appearance. If you’ll be doing some last minute shopping this week, make sure to check out the last delivery dates before the big day to avoid disappointment! The latest day that you can send your gifts off for delivery is Friday 22nd December as long as you book an express service with Parcelforce before 11am. Also, if you already know that you’ll have to have your presents delivered, bear this in mind when buying. Check the list of restricted and prohibited items to make sure that couriers are able to handle the items and (my tip) choose gifts that weigh very little as delivery costs will be kept to a minimum. It’s also important that your parcel is packaged correctly as this will keep it safe and protected on its journey, but will also allow the gift to remain a surprise! The courier comparison site My Parcel Delivery can help you decide which company offers the best delivery options based on your needs, whilst also finding the cheapest courier service available. 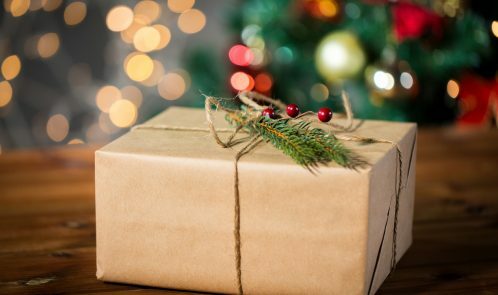 Using a courier is a winner as it saves not only money, but your time as well – something we all need over the Christmas period! Wave goodbye to the Post Office queues by leaving your parcels at a designated drop-off point if using a courier such as UPS or book for your parcels to be collected from your own home with the Parcelforce express service. Go to the My Parcel Delivery website, input the weight and size of your parcel, alongside the destination of the gift, and you’ll be presented with some of the best deals around. Christmas will always be hectic (and pricey) but it is a fabulous time to celebrate with loved ones and with a few helping hands here and there, can be made far less expensive and stress free. I hope that you complete all your shopping and wrapping over the next week and have a wonderful Christmas.